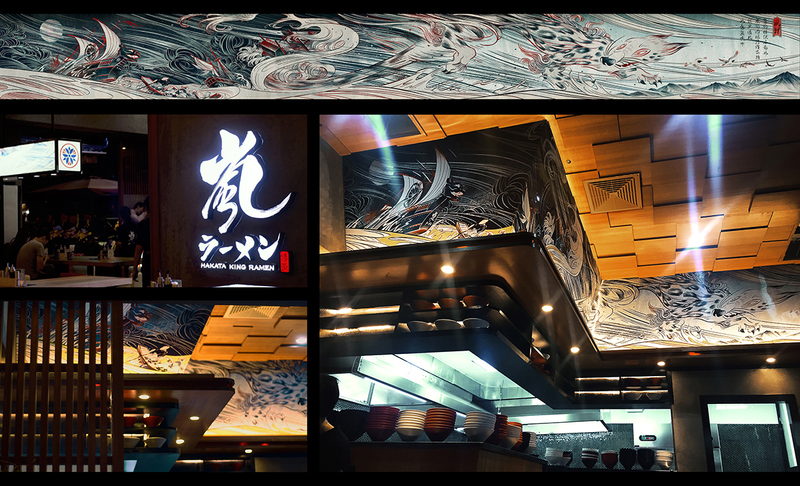 This 23 Feet long mural was commissioned by Hakata King Ramen, a "storm" themed restaurant. The idea was inspired by the ancient Animism culture – fearing the uncertainty of nature, people believed that all nature objects and phenomena have souls. Fūri(風狸), a naughty and mischievous monster who often appears in Chinese and Japanese tales is believed to be the cause of the storm. 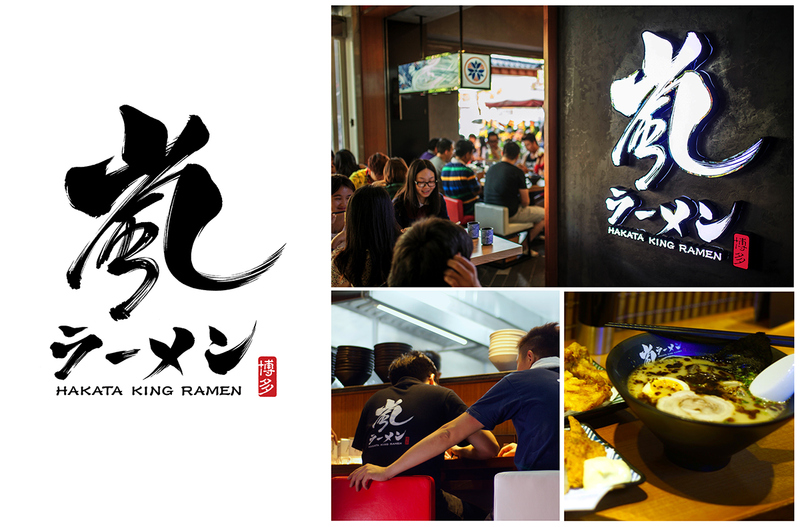 © Copyright 2015 Hakata King Ramen.